Join us at an upcoming event to meet other makers and learn how to grow your business. Subscribe our newsletter to never miss an event. This is a hands-on, personal workshop. Bring your laptops and be prepared to show your Instagram account for real-time feedback. Seating is limited to 8 individuals so register today to secure your space. How are you preparing for the Spring shopping season? What tools will you be using to attract new customers? Don't know? Come and join =SPACE & Makerhoods for another collaborative Google livestream event! Be one of the first 15 attendees and get a special edition swag from Google (may include free ad credit)! You can also come and enjoy some light networking! Makerhoods & =SPACE both focus on supporting the growth of small businesses in different sectors. We took this opportunity to use Google via their program Grow with Google as the great connector. Grow with Google is an initiative that's committed to helping people across the United States gain the digital skills they need to help grow their careers and businesses. Learn how to style and photograph your food to tell a story, set a mood, and complement your brand at our Food Photography & Styling 101 workshop presented by Hudson Kitchen and Makerhoods.org. 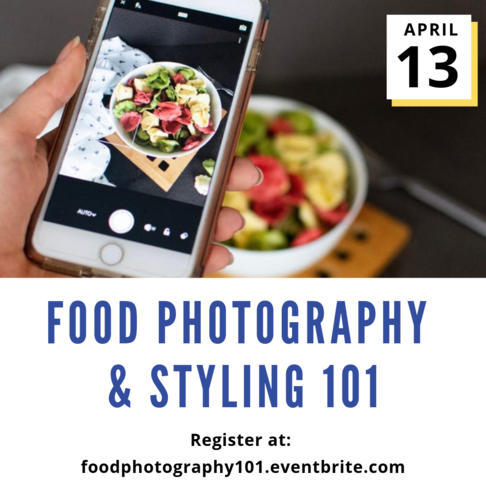 Christina Branco, founder of Starving Artist Food Photography, will guide attendees through a hands-on session where they will learn to observe food closely and work with lighting and props to create images with mobile phones. Spring is just around the corner and it's the perfect time to do some website spring cleaning! Best practices for creating a search-friendly site. There will also be special announcements and goodies you won't want to miss. Makerhoods and The Honors Program have teamed up to bring makers, creatives, small business owners, and entrepreneurs high-quality programming to spark growth and connections. Makerhoods is pioneering affordable work/live communities for makers - starting in Newark, NJ. Coming in 2020 the restoration of the Krueger-Scott Mansion and new construction for makers and maker supporters to live and work. How to Quit Your Day Job in 2019: Transform Your Side Business Into a Fulltime Business! Has your day job become just a means of financial support, while you dream of one day going all in on your small business? In 2019 it’s time for you to start working towards your goal of quitting your day job, become your own boss and follow your true passion... catapulting your side business into a fulltime business! In this workshop, you’ll learn exactly what you need to do for your business to support you fulltime through our Quit Your Day Job Analysis TM. This class is perfect if you make dresses/fashion, beauty products, jewelry, or other physical goods and want to work on your business fulltime. How much product you need to sell in order to quit your job? How much product you need to sell if you want to increase your take-home income? Basic business terminology and fundamental financial information about your side business. With this information, you can make an informed decision on when it makes the most financial sense to quit your job, and you can start planning to make it happen. RSVP now & gain the knowledge/help to transform your side job into a legitimate fulltime business. A laptop or tablet if you have one. We’ll be working in Google Sheets or Excel. If you don’t have a laptop or tablet, please bring a calculator or use the calculator on your phone; we will have worksheets to use. *If you register and are no longer able to make the class, please let us know ASAP so we can let someone else into the class. There will be a waitlist. Based on demand, we will offer this workshop again. A Genius Class on Innovation: How Do We Innovate? From startups to established companies, all businesses share some basic goal: Expand the customer base, innovate in the field, and perhaps most importantly, find that killer competitive edge. This talk explores the innovative, inspiring and often surprising lessons that hip-hop culture can bring to any kind of business to help achieve these objectives. 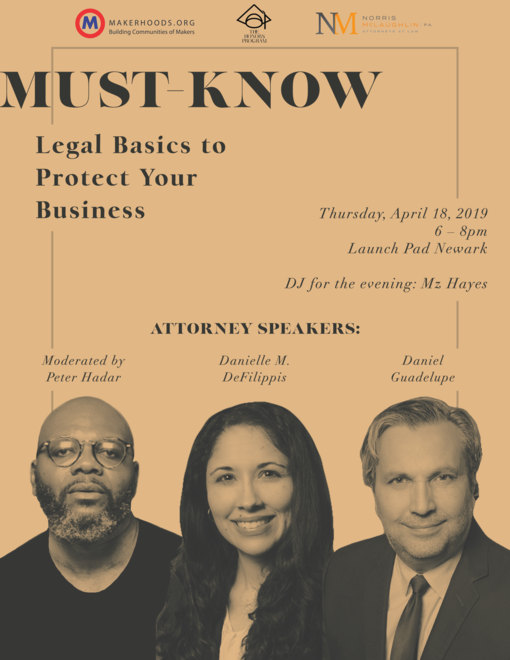 So if you are a business owner ready to grow your business, join us & our community of small business owners/entrepreneurs as we learn about the 3 concepts of hip-hop that drives business growth. Inspiration: Lessons from a culture of innovation. Inclusion: Authentically expand your business to include the hip-hop minded consumer. Innovation: Understand the unique perspectives hip-hop minded people bring to any business. Our guest speaker, Manny Faces is an award-winning new media journalist, content creator, independent scholar, and public speaker with a focus on hip-hop music and culture. He is also the Director of The Center for Hip-Hop Advocacy (www.hiphopadvocacy.org), which seeks to educate and inspire while protecting and promoting the cultural, artistic and community-based aspects of hip-hop as a whole. 7:00 – 7:15 PM: Show & Tell, Ask & Gives – Time to make meaningful connections with fellow attendees. Each attendee can get 30 seconds to promote their project or business, seek advice from fellow attendees, or offer your skills to the group. After sharing, attendees can find each other and network directly. Makers, artisans, fashion/graphic designers, any other entrepreneurs, independent and emerging business owners/employees looking to learn how to grow their business. Are you ready to propel your fashion business to the next level? Do you have questions or need feedback on various business ideas? Then join us and surround yourself around a community of local fashion business owners and fashion industry professionals. Developing the right mindset for growth. Setting realistic and attainable goals. Aligning your business operations to reach your goals. Our guest speaker Nicole Giordano is the founder of StartUp FASHION, an online community and support system for independent and emerging designers. The site has been seen on NPR, Forbes, California Apparel News, Comcast NBC Universal. StartUp FASHION has used their blog, live workshops, social media, and their online membership community to help hundreds of thousands of global fashion brands to launch and grow their businesses. 7 – 7:15: Show & Tell, Ask & Gives – Time to make meaningful connections with fellow attendees. Each attendee can get 30 seconds to promote their project or business, seek advice from fellow attendees, or offer your skills to the group. After sharing, attendees can find each other and network directly. Independent and emerging fashion and fashion-related designers and business owners; boutique shop owners and employees; other entrepreneurs and small business owners looking to learn how to make progress in their business. 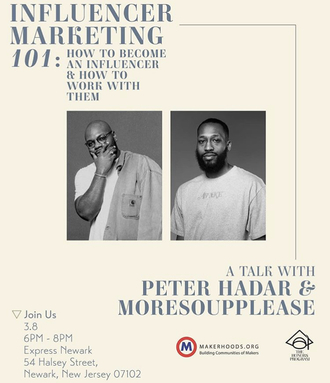 Newark Makers is a proud sponsor of "Table Talk Live: How to Sell Your Food Product Online" with Hudson Kitchen and =Space. During Newark Tech Week, Hudson Kitchen will host Table Talk Live, a networking and education event that brings together food entrepreneurs in a lively discussion designed to celebrate successes, tackle challenges and explore creative opportunities for collaboration. Attendees will enjoy a tasting menu from area food and beverage entrepreneurs along with a discussion entitled “How to Sell Your Food Product Online.” Our panel of experts will share how to develop a strategy for sales and optimization of food products on popular online platforms like Amazon and Etsy as well as company owned websites. The event will cover: packaging, shelf-life and listing requirements, as well as tips for promoting products.